It was 40 years ago when I started writing children's stories - two of which have been published: 'God’s Kiss', a multi-cultural, non-denominational story of a little boy’s dream experience, and in 2016 'The Magic Hat', which is about the power of imagination, story, love, compassion, and the healing that occurs as a result of this amazing mixture. Both publications have won awards. My objective is to annually publish a first class illustrated children’s book, both in print and audio format (narrated by me). This entails an incredible amount of time and money. I am hoping to raise the necessary funds to continue to pursue my dream and deliver inspirational messages of hope and love to children and the adults that may read my stories to them. I’m sure you remember from your childhood a book or story that truly touched you – I know I did! is a delightful tale about the environment and the importance of saving one of our most important resources – trees. It is a wonderful story that exemplifies the beauty of our trees and their importance to our environment and our lives. The story also illustrates how the average person can make a difference by being a part of the solution by speaking up to do the right thing. This story is placed in a time frame of early England. It is a time when people had a special relationship with nature and her creatures. The primary characters are a talking tree, a woodcutter with a special family history, and a very challenging situation that a whole town must face that they never could have imagined. My objective is to raise $20,000 for this new publication. This funding will go towards paying the illustrator, formatting and printing costs, marketing, and other expenses. My goal is to have the funds by this summer so that that the book will be out and available for holiday purchase by September 2018. 1. Artwork, layout, storyboard production and audio production….Approximately $10,000. 2. Book printing, shipping costs…. $5,000. Books will be printed in the United States and the first run will be hard bound with CD’s included. 3. Marketing, promotion….$3,000 to $5,000. Through these publications, I strive to bring beauty and art along with a positive, inspiring message to children and adults. 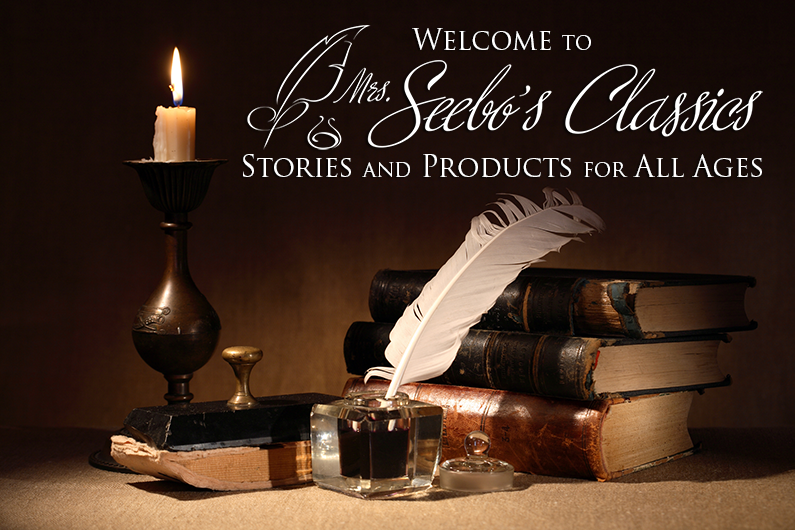 If you would like to see the quality of my previous publications, go to my website: www.mrsseebosclassics.com and scroll through. I also volunteer personal time to Community Service through Education programs in schools and for youth group events. These programs are committed to the personal empowerment and enrichment for children of all ages. I combine the gift of storytelling with my experience as a speaker, teacher and author to inform, guide, motivate, and enrich the lives of young people. For those of you who support this project we will have a special gift! · $25.00 – Free E-Book of the first edition of the award-winning publication, God’s Kiss. · $50.00 – First book edition of the award-winning publication and CD (narrated by Donna Seebo), God’s Kiss. · $100.00 – First book edition of the award-winning publication, God’s Kiss and The Magic Hat. · $500.00 – 35 copies of the new publication, The Woodcutter & The Tree, to be donated in your name to your choice of charity, church, library, school, or organization of your choice. First book edition of the award-winning publication, God’s Kiss and The Magic Hat. · $1,000 – 75 copies of the new publication, The Woodcutter & The Tree, to be donated in your name to your choice of charity, church, library, school, or organization of your choice. First book edition of the award-winning publication, God’s Kiss and The Magic Hat. I am very excited to finish this project and with your collective help, I will be able to do it. I appreciate any amount you can donate towards achieving my goal of keeping the love of reading and books alive for all children! Thank you so much! Presently, I am working on my third children’s book in my Mrs. Seebo’s Classics series titled 'The Woodcutter & the Tree'. This is a delightful tale about the environment and the importance of saving one of our most important resources – trees. It's a wonderful story that exemplifies the beauty of our trees and their importance to our environment and our lives. New Book 'The Woodcutter & the Tree' !